2019 Public Policy Series #2: City/County Managers' Breakfast presented by The Action Group - Apr 9, 2019 - PublicLayout - Wilson Chamber of Commerce, NC ? 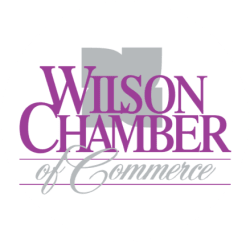 The second installment of the Wilson Chamber of Commerce’s 2019 Public Policy Series will include a presentation by Wilson County Manager Denise Stinagle and Wilson City Manager Grant Goings The event is sponsored by The Action Group. This Public Policy is designed to inform members about the challenges and opportunities within our local governments. Breakfast will be served at 8:00 AM. Tickets are $15 each for Chamber members and their employees. The Public Policy Series brings together experts on the economy, education, and government to explore the important issues facing businesses in Wilson. Held four times annually, each event is designed to inform our members on critical issues, and introduce them to policy makers whose decisions have a direct impact on the places they live and work. Previous series events have included industry updates, local economic forecasts, and presentations from elected and appointed officials. $15 for Chamber members and their employees.